The current economic crisis was caused by a series of failures, chief among them is a failure of ethics, according to the Pontifical Academy for Social Sciences. 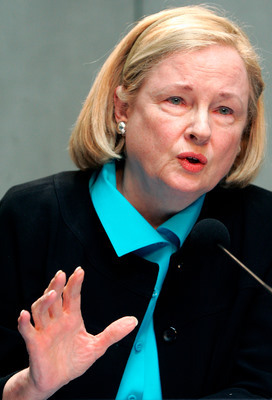 The president of the Vatican's Social Sciences Academy, Mary Ann Glendon, said during the course of the Academy's plenary session members heard from those working in various sectors of the financial industry. They all told the Academy the economic crisis was caused by a series of failures: in leadership, in regulation and above all, a failure to consider the ethics of various financial decisions. The crisis, Glendon said, has diminished the hope of the international community's ability to reach the UN millennium development goal of eradicating poverty by 2015. In attempt to do more than just list the causes of the crisis, the Academy sought to identify what needs to be changed in order to avoid such a crisis from happening again. There is, Glendon said, "a need for new, refined, methods of regulation" as well as a need for better education on all levels. On the one hand nobody really knows the best way to balance the needs of the market with the greater good of society. Glendon pointed out that the move to relax lending rules in the United States was meant to give lower income families an opportunity to own their own homes, however it created a predatory lending market. Suddenly-eligible borrowers did not have the necessary knowledge that would help them understand they were getting in over their heads or that they were signing documents that put them at great risk. The other question that needs to be addressed, Glendon said, is why and how people ignore the moral consequences of their business actions and follow the prevailing mentality that "anything goes." The greatest challenge to implementing better regulation of the financial industry is a vicious catch-22. Regulatory processes are government based and as such are at risk of being "captured" by the political interests of those who are being regulated. At the end of the conference Glendon announced that over the next two years the academy will turn its attention to Pope John XXIII's encyclical Pacem in Terris.